I picked up a set as they were highly recommended and there were statements about them being a very close dupe to the famous Sigma brushes. Now I do not own any Sigma brushes so I cannot compare the two for you guys as much as I would love to but I thought I would do a little review of them anyway for the people that have been looking at purchasing them. 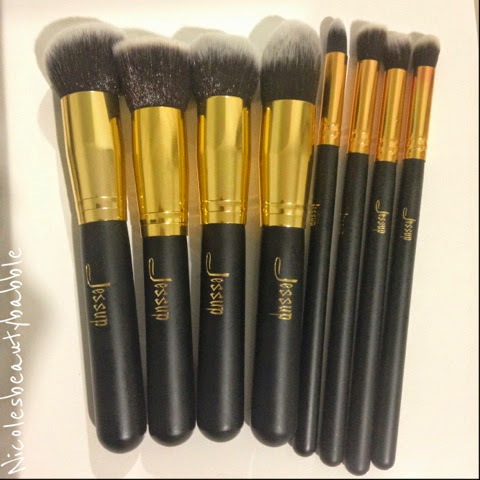 I opted for the 8pce set in black & gold with 4 face brushes and 4 eye brushes. They took around 3 weeks to get to me here in Australia and they did smell very strongly of paint when they arrived, I gave them a bath and the smell disappeared. 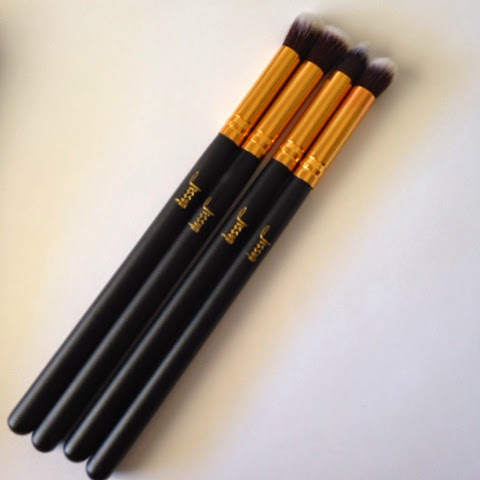 From the first look at them they are pretty good quality for brushes that where so cheap! The handles are a great length, the brushes them self are dense, very soft and no bristle fall out. 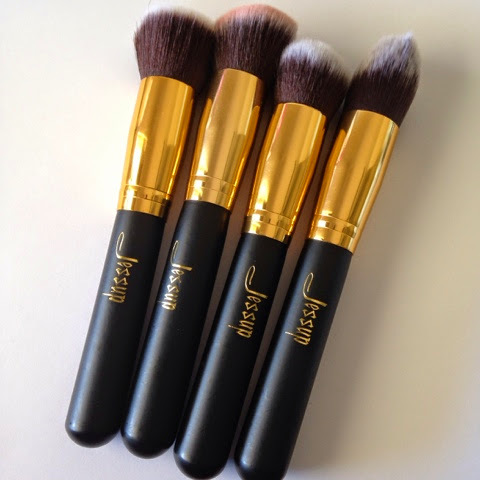 I have used a few of these brushes and the result has been perfect, I have nothing to fault them on I love the way they work they pick up product, apply and blend perfectly. If you are in the market for some new brushes do check these out on ebay they are fantastic quality and the price is unbeatable. I searched for Jessup Makeup Brushes on eBay and they range in price but mine cost me $15.00 including shipping from Hong Kong. What are your thoughts on the Jessup brushes?